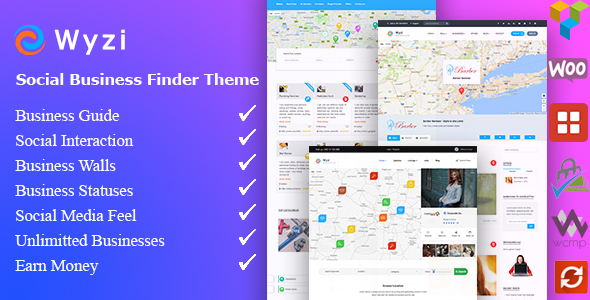 Wyzi - Business Finder and Service Provider Booking WordPress Social Look Directory Listing Theme is a premium theme specially made for Directory Listings WordPress websites. Hurry up and get it today at a low price of $64 only. The theme average customer rating is 4.82 which makes it one of the best affordable WordPress Directory Listings themes around.